At the Choir Christmas Social three retiring members were honoured by their comrades and presented with Choir plaques to commemorate their long years of service. Their combined total membership came to 101 years! Others retiring in recent years were Denzil Jones with 29 years in the choir, John Smith with 28 years and John Davies (Cwm Irfon) had 20+ years. Adding these together bring the combined total years served by the retirees to about 180! Choir Chairman Gwynfor Evans paid tribute to the years of dedication each of these choristers had given the choir and said:” We’’ll have to do some serious recruiting to replace such stalwarts – but there comes a time when standing still on stage for long periods isn’t so much fun!” Gwynfor further hoped that all retired choristers would still keep in touch and attend concerts and social functions in the future. The Choir have started the tradition of honouring members who retire after serving over 20 years by awarding a special wall plaque. They have identified those mentioned above who have retired in recent years, but apologise if they have inadvertently missed anyone out and would welcome information about others who may have slipped through the net. Also at the Social mentioned above, Brian Like was presented with a tankard to mark his retirement as Choir Secretary after eight years. Brian is standing down to “let someone younger take over!” Thankfully he will still remain in the choir as a mainstay of the 2nd Bass section. Our concert at the Presbyterian Church in Caersws, near Newtown was well-attended and the choir gave of its best in this large venue with excellent acoustics. 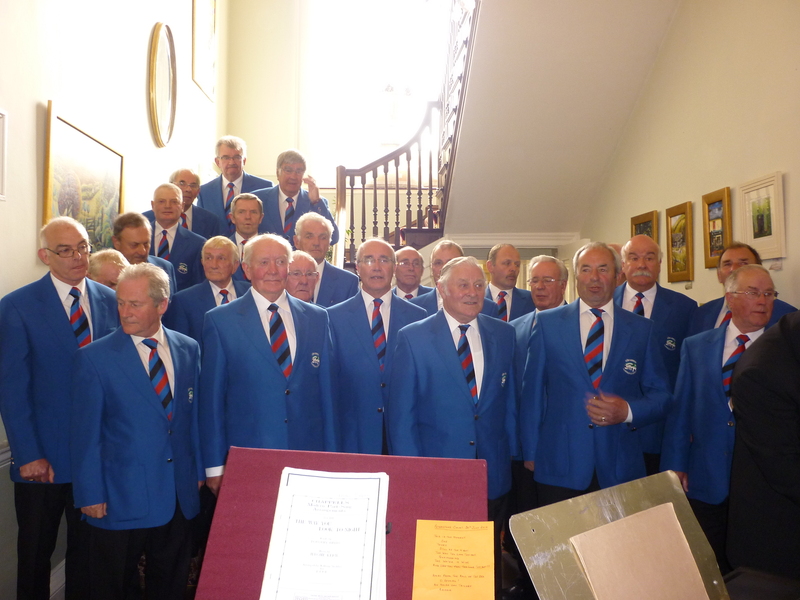 We shared the evening with the Three Tenors from Pontrhydygroes who were also in great voice. As usual Ann Bufton was at the piano and Adrian Morgan conducted in the absence of Luned Jones who was in hospital recovering from a road accident last week. 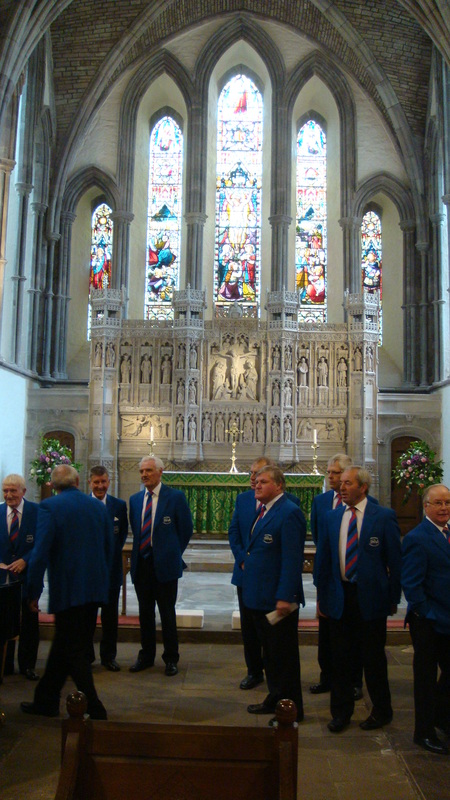 The choir and supporters send their best wishes to Luned and her husband Bob and wish them the speediest of recoveries. 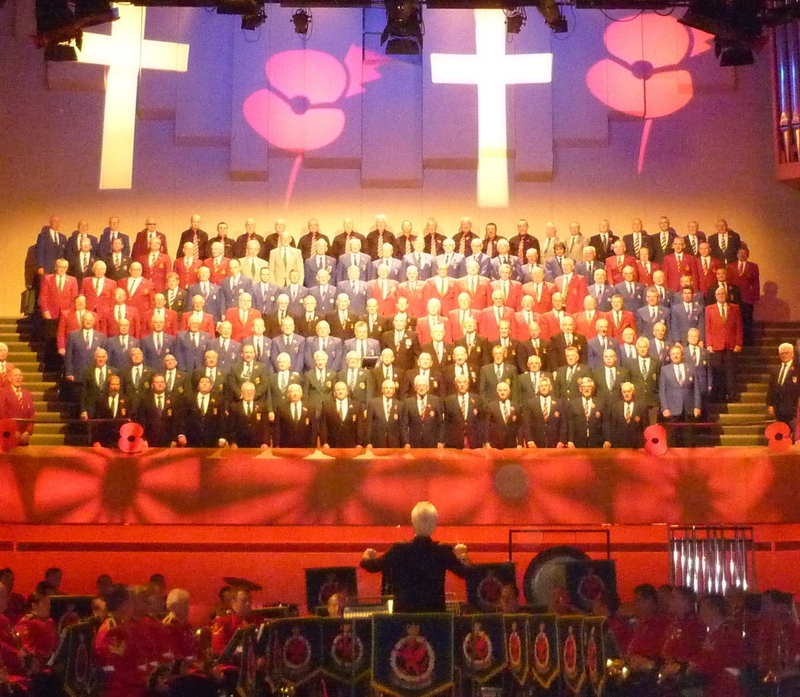 On Saturday the choir took part in the Wales Festival of Remembrance at St David’s Hall Cardiff. There was just about room for us, although it took a little while for them to allocate us our seats and we had one of the larger groups of singers. Members of the audience told us afterwards that a lovely sound was produced! We also had the distinction of sharing the stage with Des O’Connor. Although we didn’t actually sing with him, some of us felt we could definitely have added something to his Buddy Holly medley. We don’t know what Morecambe and Wise would have said! Those of you with good eyesight may be able to pick out our tenors in the photo above – they are in the 3rd and 4th rows from the front. It was good to meet up with old friends from other choirs and to contribute to a massed choral sound under the baton of the world-famous Alwyn Humphries. We were also honoured to be able take part in a national occasion to honour those who have fallen in the service of our country. 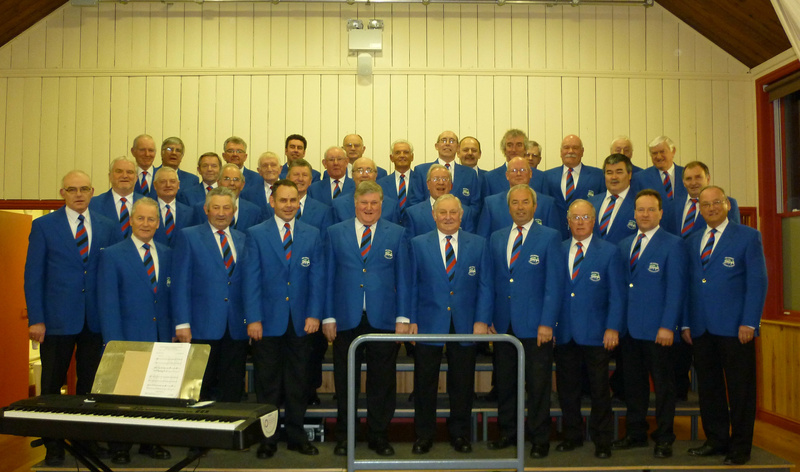 An excellent concert at Merthyr Cynog Community Hall in Upper Chapel at the weekend. Well-attended and with the choir in good voice. We finally made it to the London Welsh Festival of Voices and managed to get through the challenging programme. Always a wonderful experience, especially for those choristers new to it. We also took two coach loads of supporters who all enjoyed the music and the atmosphere. 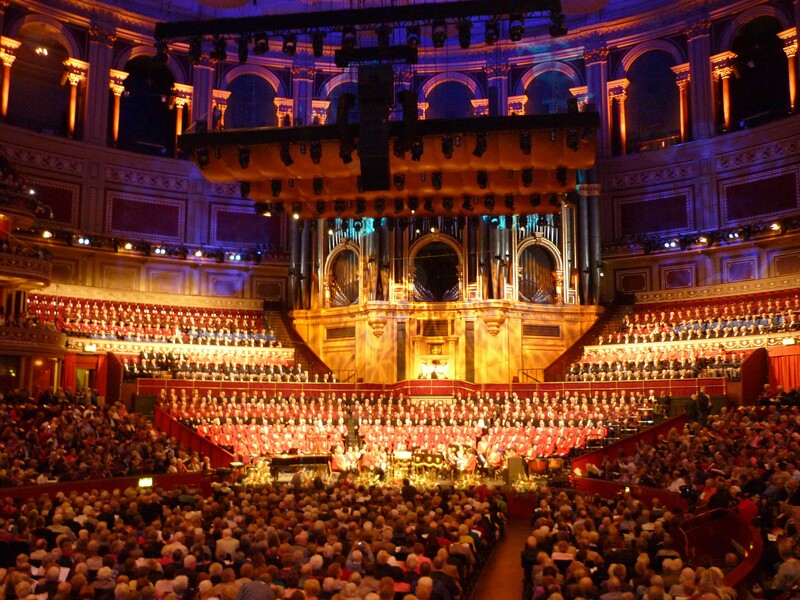 Here we are – the thin blue line – about two rows from the back at the Royal Albert Hall. Big thanks to Luned Jones and Ann Bufton for all their hard work in preparing us for this prestigious event. On our Monday night practices we are used to some visitors from all over the world, but on this occasion we were overwhelmed with about thirty friends from Bad Rappenau in Germany who were visiting their twin town of Llandrindod. They gave us thunderous applause for our efforts, even when we repeated them as we hadn’t got them quite right the first time! Afterwards in the bar we shared a great sing-song with our guests, including Big Klaus, the coach driver, who we remembered from our last tour there. He sang his favourite song “Country Roads” before they had to go. They are hoping the choir can visit them again soon, maybe for the “Oktoberfest” next year. 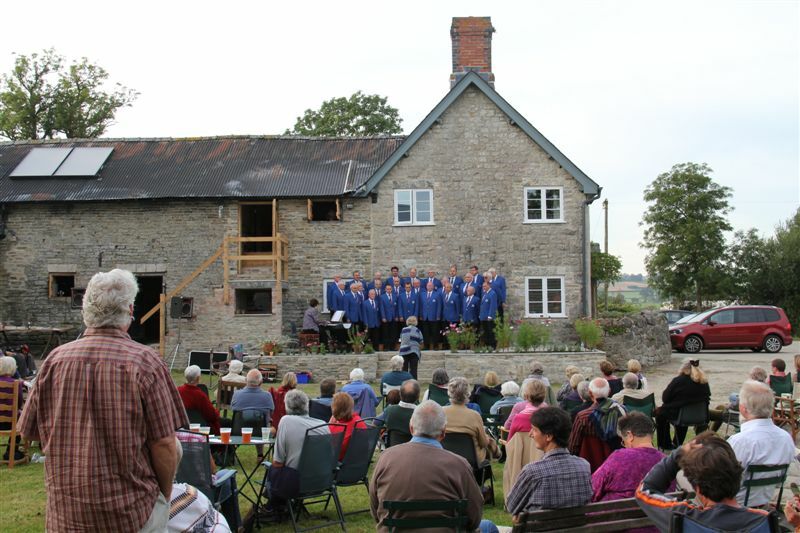 The choir was delighted to take part in this special event to celebrate the restoration of “Hymns Farm” which its new owner, Elizabeth Passey has been working on for the past few years. The farm which has beautiful views of the Radnor hills all around, was a focus for the growth of non-conformism in the area and the West Barn was the meeting place for worship. 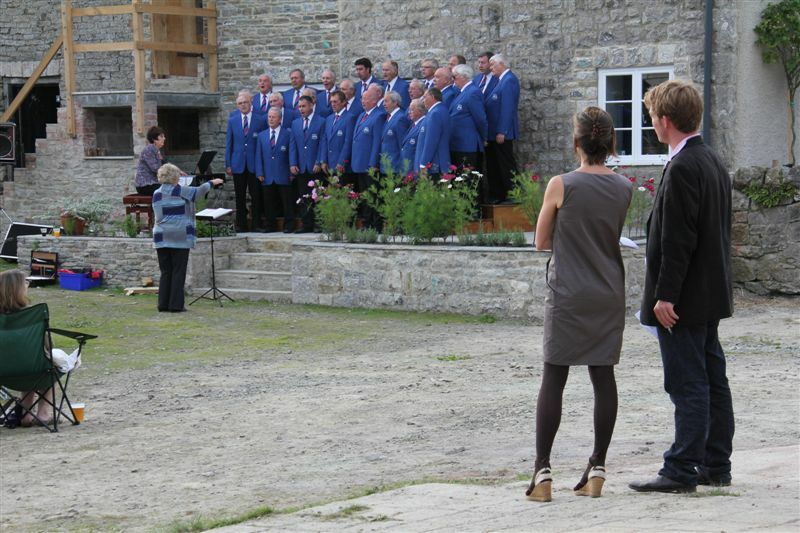 The Choir opened the evening by singing from the new terrace in the central courtyard of the farm and later moved into the restored barn to conclude the evening. The sound of singing once again filled the building as it had all those years ago, before a chapel was built for the congregation. In between the singing, Welsh authors gave readings from their works. Neil Griffiths began the readings and later, Horatio Clare and Sue Gee read excerpts from their work. Proceeds from donations and a raffle were shared between St Stephen’s Church at Old Radnor and the Wye and Usk Foundation. It is with great sadness that we have to report of the passing of the Choir President Bryan Watkins who died on Saturday 11th August in Llanwrtyd. Bryan has been a stalwart in the baritone section and has served the choir for many years, the last five as a well-respected President. Bryan fulfilled many roles in his beloved Llanwrtyd Wells community, but in the choir we will always remember him for his leadership, his humour and his sociability – he will be greatly missed and our thoughts at this time are with Margaret and the family. The choir sang at Bryan’s funeral at St David’s Church in Abergwesyn to say goodbye to our old comrade. 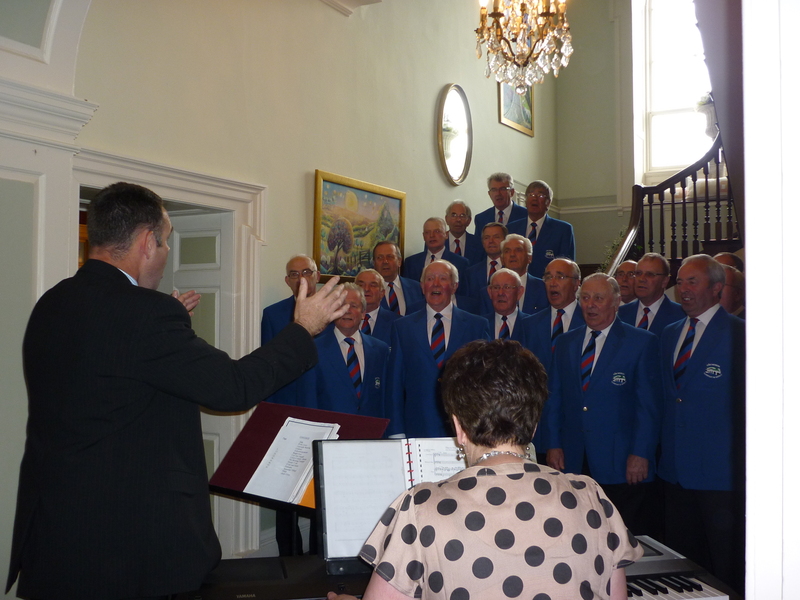 Jayne Jones managed to catch a couple of snaps as we sang at the wedding reception at Peterstone Court, Llanhamlach at the end of June – we had excellent feedback from guests and had an appreciative audience as we huddled round the stairs. We should give a big thanks to Jayne who faithfully records most of our concerts – the majority of photos on this site are from her camera. We do appreciate her contribution! 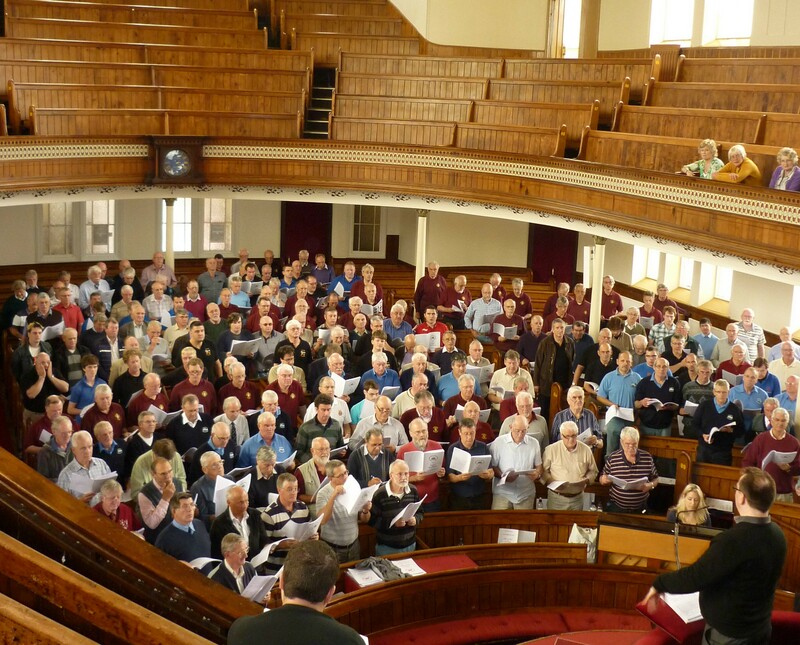 Edward Rhys-Harry conducting some of the massed choirs in the Tabernacle Chapel, Morriston, in preparation for October’s London Welsh MVC’s Festival of Massed Voices in the Royal Albert Hall. Builth boys are in blue with some fans in the gallery! The only sunny day for what seems weeks saw us helping Rhian and Steve Gutsell celebrate their wedding in Brecon Cathedral and later at Buckland Hall near Bwlch where we sang at their reception and enjoyed the beautiful garden setting. 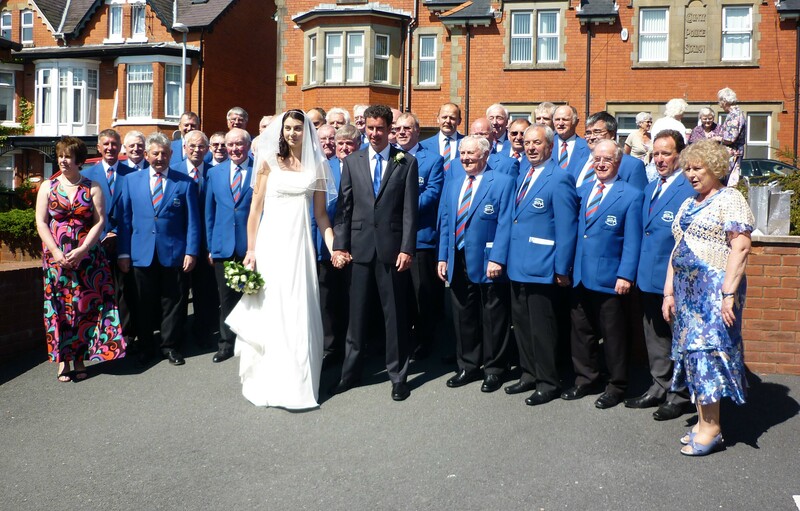 On a beautiful sunny, breezy day the choir helped tenor Andrew Evans and his bride, Ruth celebrate their wedding at the Tabernacle Baptist Church in Llandrindod Wells. Some 30 choristers were on duty to sing during the signing of the register and lined up for a photo afterwards with the bride and groom. We wish Andrew and Ruth all the very best for their future life together and we hope Andrew will still find some time to sing with us! 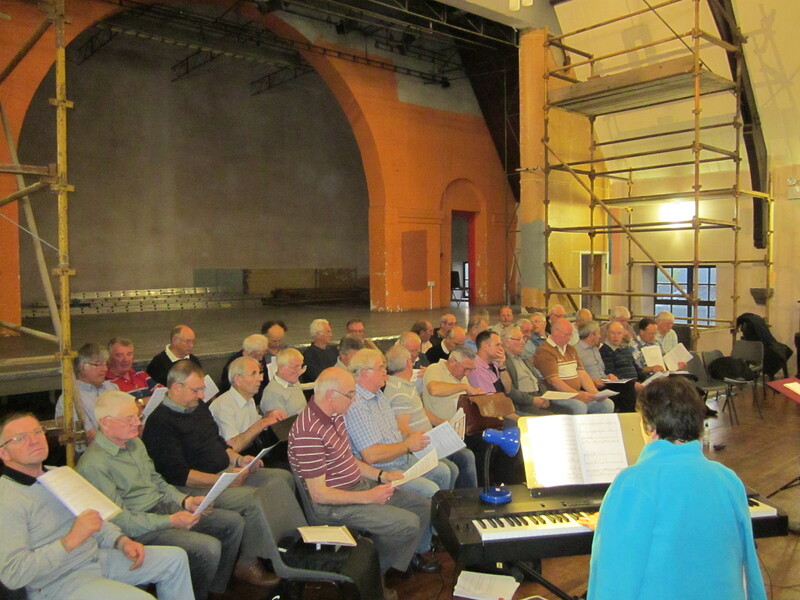 The Choir held last Monday’s practice in the Strand Hall at the request of the Town Council in order to test the acoustics since the refurbishment. There is still a bit of work to do, but it seems that the removal of the false ceiling may have improved the venue for singing and the newly revealed brick arch across the stage is very impressive. 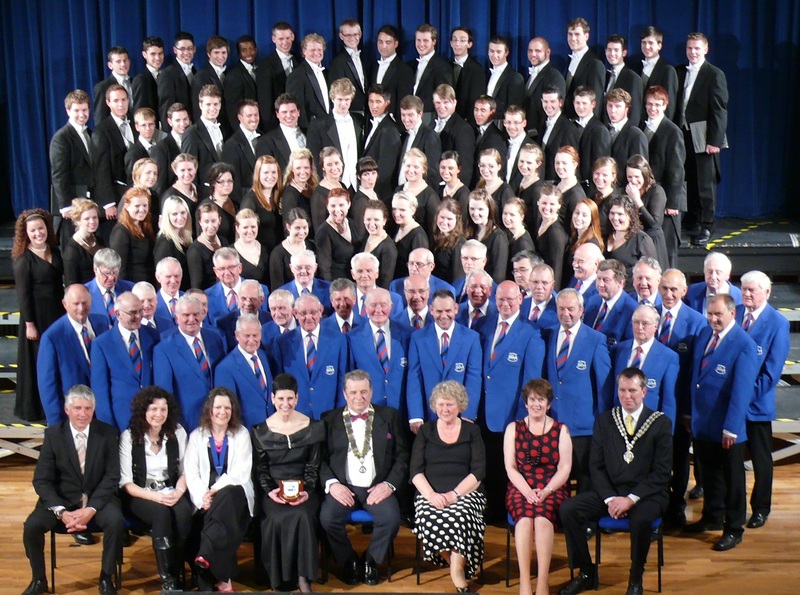 Sixty-eight members of the Choir from Drake University, Des Moines, Iowa, USA delighted the packed Pavilion Theatre, Llandrindod on 19th May when they joined with the Builth MVC to provide a most memorable evening of choral singing. This was one of our most successful concerts and our guests were a group of very talented music students who provided a thrilling range of vocal styles, always singing unaccompanied under the musical direction of Aimee Beckmann-Collier. 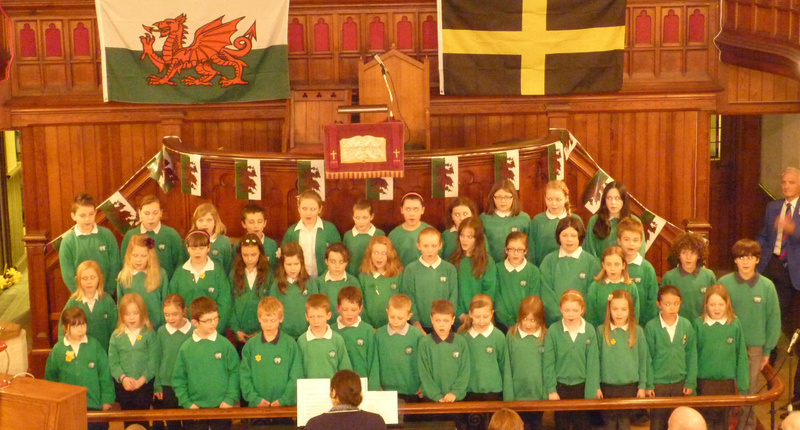 At the end of the concert we joined together to sing Cwm Rhondda (click to see video). 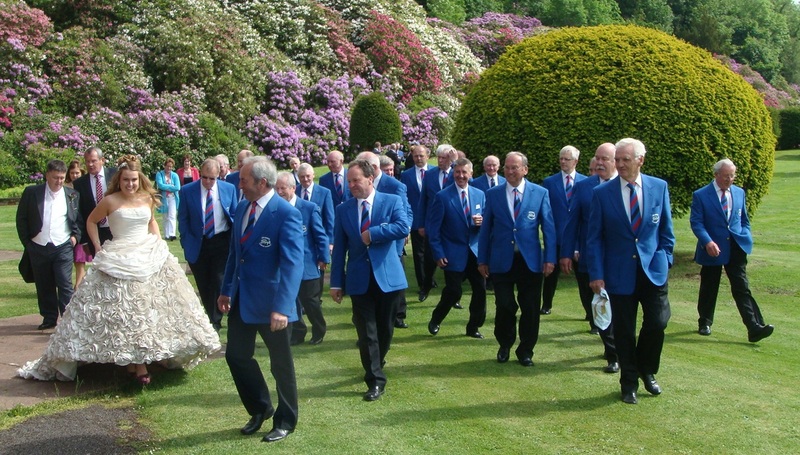 Later our guests departed for their tour of Ireland to the strains of “We’ll keep a Welcome” from the host choir. As well as singing in Trinity College Chapel and St Patrick’s Cathedral in Dublin the Drake Choir’s tour takes in Killarney and finishes at St Nicholas Cathedral in Galway. 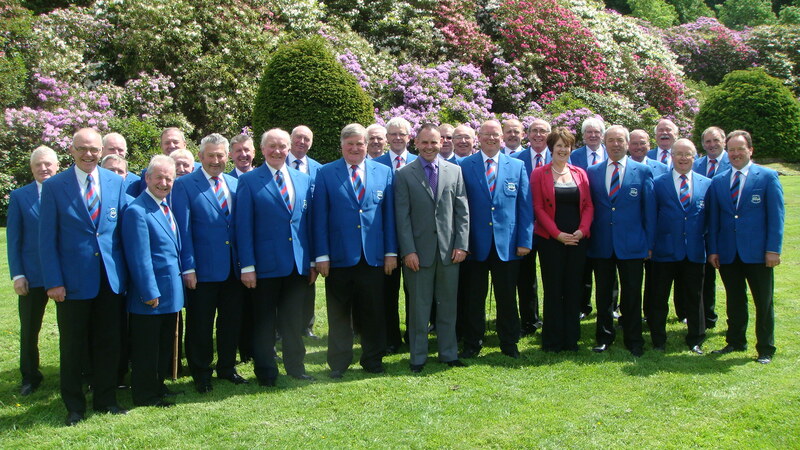 19/05/2012 – Llangors concert a big success! 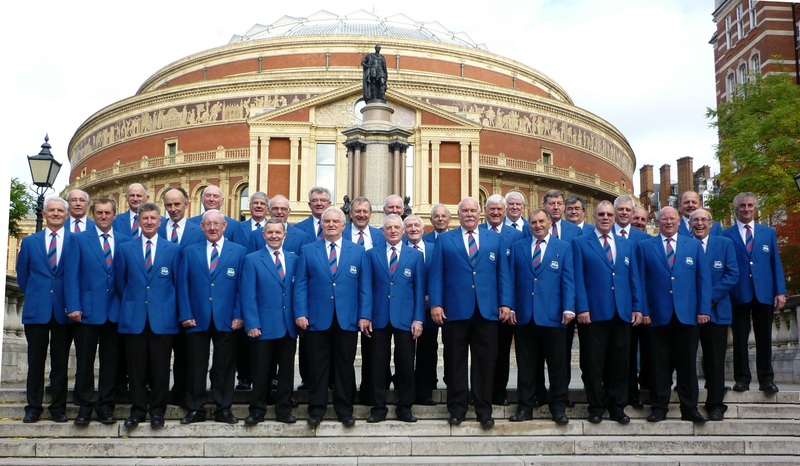 On 18th May a packed Millennium Hall at the lakeside village of Llangors enjoyed a full and varied programme from Builth Choir and the supporting Brecon Three Tenors. 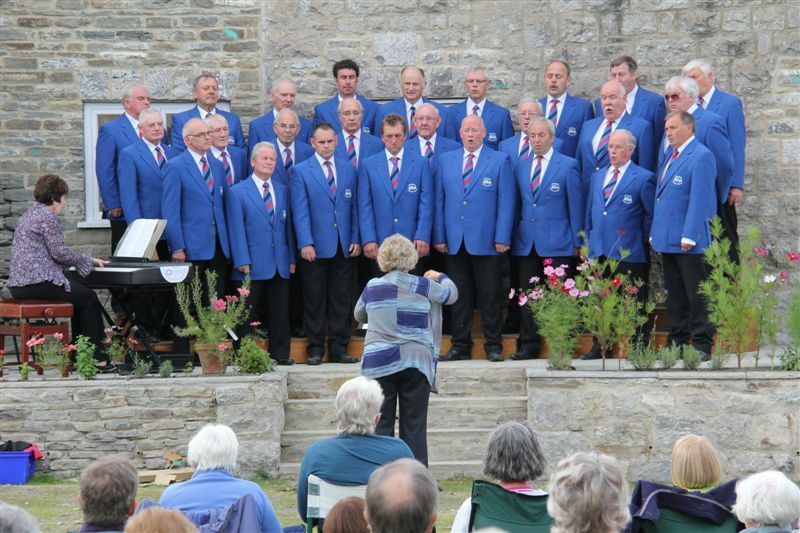 The event was a fundraiser for the ancient St Mary’s Church, Llanwern and the organisers were delighted with the turnout and the Choir’s performance. Luned Jones conducting, and Ann Bufton at the piano, showed the quality they have been producing over the last 27 years and Deputy Conductor Adrian Morgan showed his class when leading the Choir in his selection of sea-faring songs, which were well-received. With David James as compere , a grand evening was enjoyed by all, as was the kind hospitality of the ladies of the organising committee. Leading local music critics (choristers wives) agreed that this was another of our best concerts! 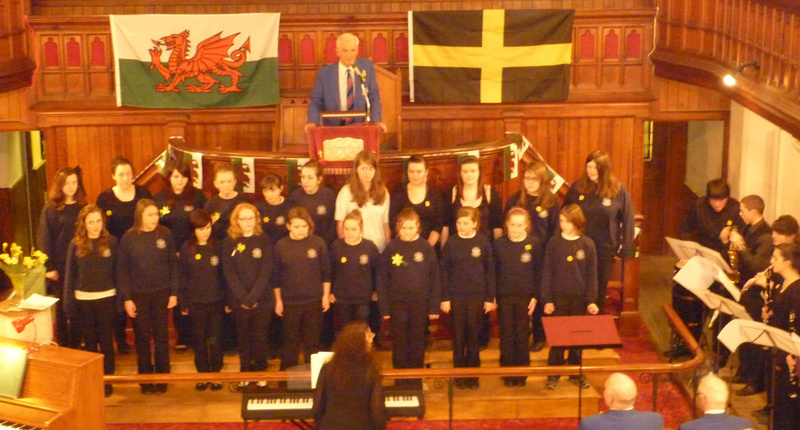 Our annual St David’s Concert took place in Alpha Chapel on 2nd March. We were delighted that both the High School and Primary School were able to contribute to a memorable evening when they are both deep in work for the Urdd Eisteddfod. The High School choir started the evening with an outstanding performance of “Cantus Iteratus” and some beautiful singing from Sophie Jones and Angharad Gough. The Primary School followed with some lively and entertaining pieces. Our solo baritone, Trebor Lloyd Evans didn’t disappoint either and we could see why he had been awarded a Blue Riband from the National Eisteddfod. 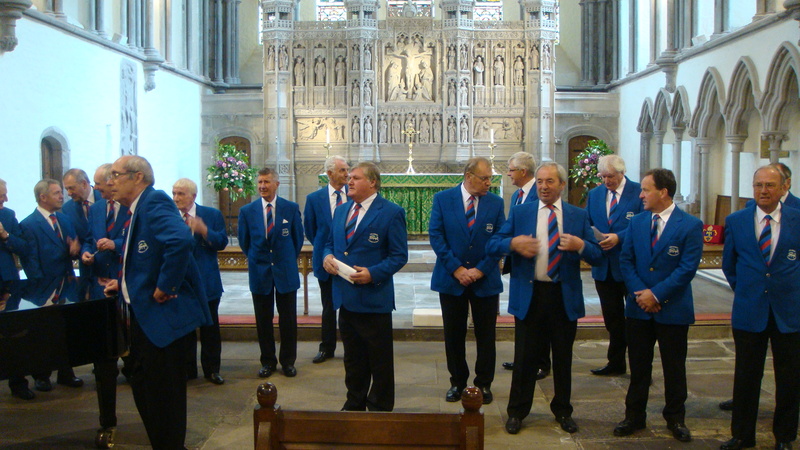 The Male Voice Choir completed the first part of the evening with some rousing choruses. 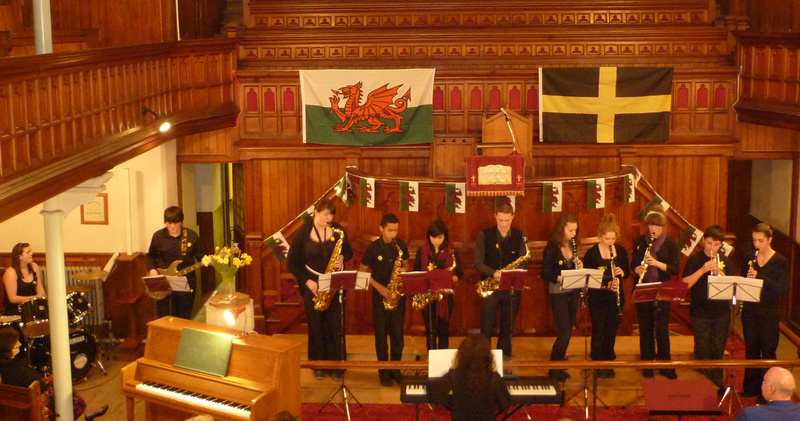 Builth High School Jazz Band with solo saxophonist Tom Childs in the centreandElin Ennis conducting. 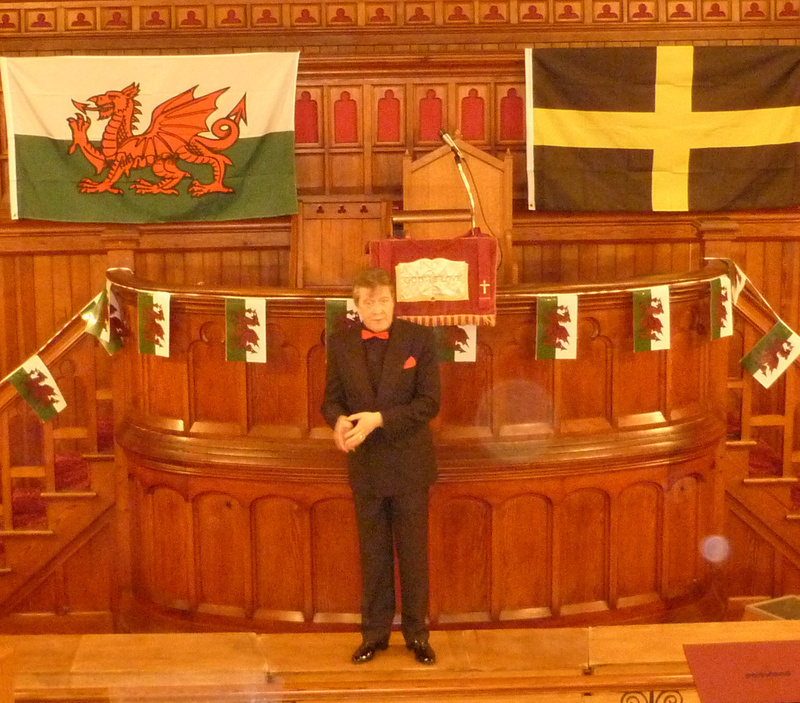 Compere and Choir Chairman, Gwynor Evans introducing the Builth High School Choir. The High School Jazz Band opened the second part of the concert with two foot-tapping tunes and the Choir concluded the evening after another excellent performance by Trebor, showing his range and versatility. 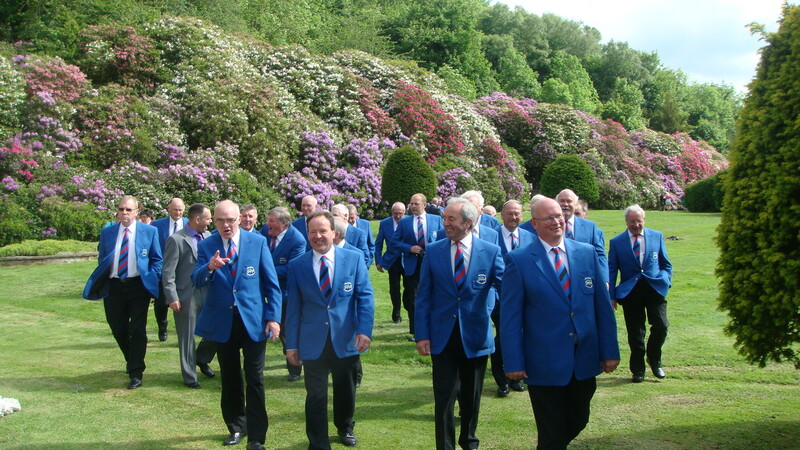 Proceeds from the concert will go to The Bracken Trust and Builth Scout Group’s new building fund. Many thanks to Builth Scouts for helping Mairwen Price and Kath Like at the front of house. The choir are pictured below at our first concert of 2012 in the new Alexandra Hall in Llangammarch where we sang to raise funds for Tenovus and the Welsh Air Ambulance on 10th February. We were joined by local soloist soprano Shelley Hughes, along with flautists Alison Dean and Victoria Roff.